The Evve MK-1200 Is a robust design PT unit, specially build to function in all the different weather conditions globally. The MK-1200 is a continuous rotation PT Unit with 360 degrees for pan rotation and 180 degrees for tilt. The MK-1200 is totally free of maintenance. The advanced design and construction with different metals will avoid any maintenance issues. We specially designed a slipring with overcapacity so that the extra wishes of the end user can be added to the unit. The different metals with the different coefficients of variation will manage the quality of our product in all weather conditions. Our own design of the electronics and the software will give the costumer a very precise and accurate product. The MK-1200 comes with soft stops, which means the user can set the stops as required. The MK-1200 has a IP68 rating. The gearbox is designed to minimize backlash and provides higher gear ratios for lower speeds without costly modifications whilst full mechanical braking enhances accuracy and stability. The PT unit comes with a ODU plug to have the most convenient connector. The ODU plug is modular and we can adjust the connector to the wishes of the costumer. 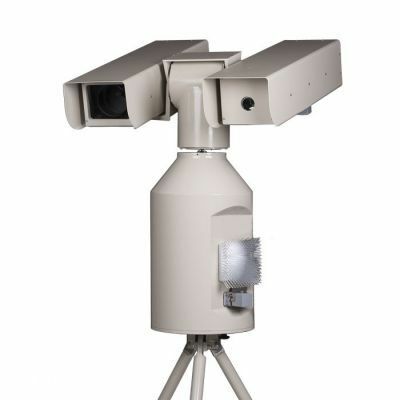 The MK-serie cameras are standard built with the MK-1100 (non continuous rotation pan and tilt unit), but the end user can instead complete the camera with the MK-1200.